Beef Steak with Gravy Sauce (Steak Nuer Sauce Gravy) - Beef Steak with Gravy Sauce’ is my favorite dishes and many people like it too. 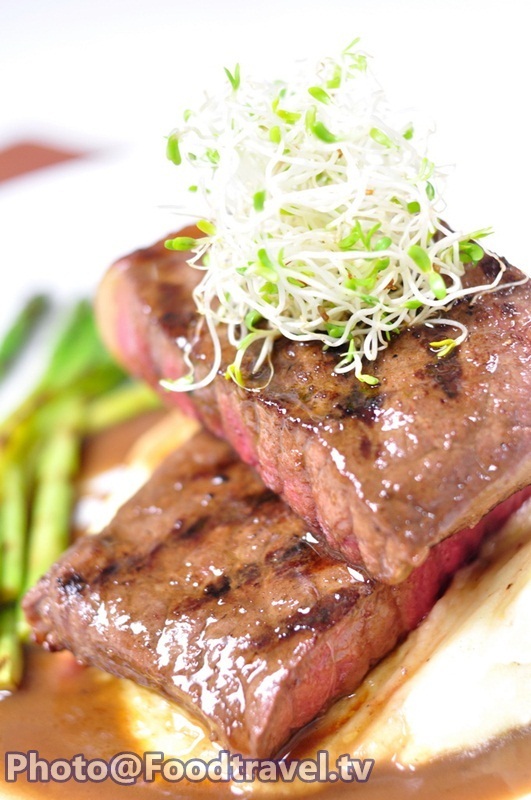 For ones who like to eat meat, this is the main dish which can impressed you. Try to serve it at home for change the mood. 1. Marinate meat with salt, pepper, olive oil. Leave it for 10 minutes. 2. Mix cherry tomatoes with olive oil. Season with salt, pepper. Put in the oven at 180 degrees for 30 minutes. 3. Roast beef on grill pan about 3-4 minutes on each side (depending on size of meat) Set aside. 4. Grill asparagus on the same pan until you get the colors and it’s just right cooked. 5. Cut meat into dish. 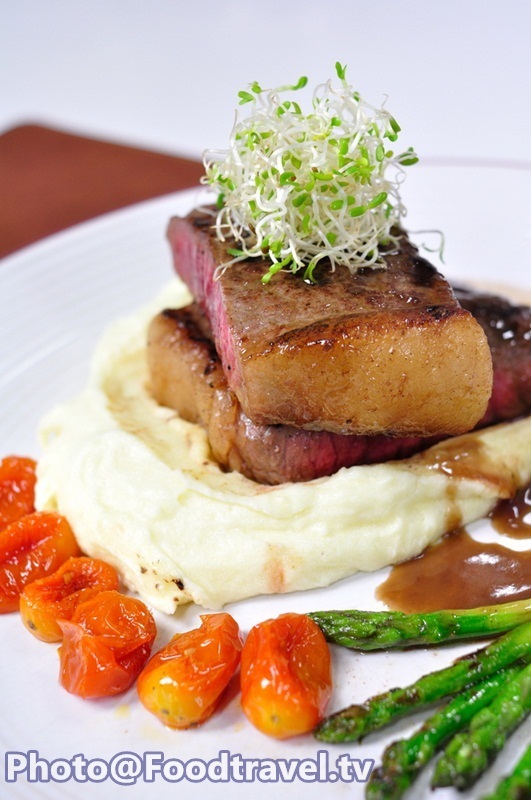 Serve it with asparagus, tomatoes, including with mashed potato, top with demi-glace brown sauce or gravy sauce. You should grill beef just once per side only. Do not turn upside down because the meat will not cook evenly.